According to Bailey's post, PUBG Mobile was not just the fan favourite game but also the best game of 2018. It's the time of the year again when search giant Google comes up with the 'best of' or 'top 10' in different categories. 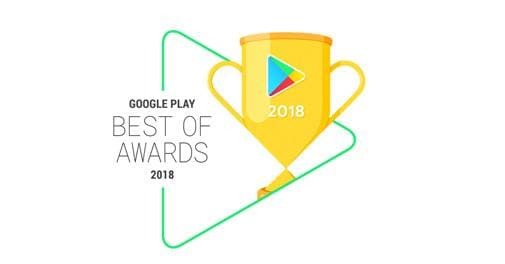 Kara Bailey, Global Merchandising Director, Google Play has published a post highlighting the most popular content on the Google Play Store this year. According to Bailey's post, PUBG Mobile was not just the fan favourite game but also the best game of 2018. While Drops: Learn 31 new languages, came at the top as the best App of 2018, Google Pay was the fan favourite app of the year. This is for the first time when Google has added the 'fan favourite' category, giving users a chance to vote for their favourite game and application. The post further highlighted the top five movies of 2018 that includes Black Panther, Jumanji: Welcome to the Jungle, Justice League, Deadpool 2 and Hichki. Topping the charts for the top 5 books have been: How to make money in intraday trading, by Ashwani Gujral, Hands-on computer science & IT, by Prof. Neelima, Calling Sehmat, by Harinder Sikka, Will you still love me?, by Ravinder Singh and Factfulness: Ten reasons we're wrong about the world--and why things are better than you think, by Hans Rosling. In audio books of 2018, Sherlock Holmes: The Collection, by Arthur Conan Doyle was the most popular followed by 12 Rules for Life: An Antidote to Chaos, Jordan B. Peterson, The Science of Getting Rich - Original Edition, Wallace D. Wattles, The Art Of War, Sun Tzu, and Real Estate Investing: 7 Ways ANYONE Can Use To Make Money In Real Estate, Mark Atwood. According to Google, the most popular song of the year turned out to be Taki Taki, followed by Mere Naam Tu (From "Zero"), It's definitely you, Sunflower (Spider-Man: Into the Spider-Verse) and Dilbar (From "Satyameva Jayate"). The Android operating system is available across a wide range of devices at different price points that has led Google to enjoy over 85 per cent market in the mobile OS market worldwide.